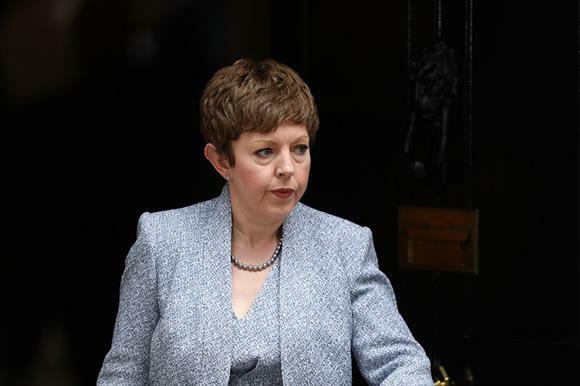 Charities should operate less like businesses and a culture change is needed in the sector to uphold its traditional values and operate in a way the public expects, according to Baroness Stowell, chair of the Charity Commission. In a speech at the Royal Society of Arts last night to launch the regulator’s new strategy, Stowell said that charities were "at heart, about altruism and selflessness", but some had undermined that concept in the eyes of the public, and that meant charities were no longer being given the benefit of the doubt. "People have seen some charities displaying uncharitable behaviour – whether that be aggressive fundraising practices, exploitation of vulnerable people or single-minded pursuit of organisational growth – and they have become less inclined to trust them unquestioningly," she said. "They feel that the promise of charity has not always been kept." Stowell warned that charities "do not have a natural, eternal monopoly over the channelling of our altruistic impulses" and said that new technologies, enterprise models and social changes were providing an alternative to the traditional charitable model. All charities and the regulator, she said, should therefore take steps to promote what is special about charities and to meet public expectations or "risk being complicit in its decline". Stowell said that a culture change was needed and told the story of a charity chief executive who she said did not compete to deliver contracts that were already being provided by another local charity. "That leader understands that the charity’s purpose is to help their beneficiaries, not to grow bigger and stronger for the sake of it – or worse, at the expense of another, smaller charity," she said. "And because they are aware that, as a leader of a charitable organisation, they have a wider responsibility towards the flourishing of charity as a whole, so more people benefit. "That’s charitable behaviour," Stowell said. "That’s behaviour that separates a charity from a profit-making business – that’s the attitude, the ethos, the public expect." Stowell also took aim at sceptics in the charity sector who felt the public’s view of what a charity should do was too simplistic. "I also know there are some in the sector whose response might be to pooh-pooh the idea of charitable behaviour," she said. "Who might reject the notion as ‘motherhood and apple pie’, as the perspective of a naive public that simply doesn’t understand how complex an operation a modern charity is, or how clever and sophisticated you need to be to run one. "Of you I ask: if you do not buy into the basic principle that a charity should hold itself to high standards of charitable behaviour and attitudes, then why are you involved at all?" If these charities’ operations were so complex that they was difficult to understand, she said, this was "all the more reason to reassure the public and your beneficiaries that you’re getting the basics right" to prove the charity was competent enough to deliver sensitive programmes and oversee complicated structures. Charities should also be more vocal about their high standards and how they make a difference, as well as taking responsibility for the idea of charity and how it is viewed by the public, Stowell told the audience. "If you are involved in a charity today, you form part of the ship that holds within it the very concept of charity," she said. "And if you fail the public, you’re chipping away at the hull of that ship, and you risk sinking more than just yourself and your own organisation."